North County Catholic Homeschoolers – Join the weekly Father Francis class at a Catholic Church in Escondido or sign up with the ReginaCaeli yahoo group to get emails on field trips and gatherings. Contact Michele for yahoo group info and invite. Contact information: Email Michele Bru or call (858) 679-2101. San Diego Christian Homeschools [SDCH] – Activities for all ages including free Park Days, monthly field trips, classes and more. Our group is made up of families, most of whom are Christians and independent homeschoolers, however we are open to families of all beliefs and all homeschool methods. We are not affiliated with any church, private or charter school, or any ISPs, but we do have several families who use these methods in their homeschooling. Membership is $25/year. Contact information: Email San Diego Christian Homeschools or call (858) 353-1439. 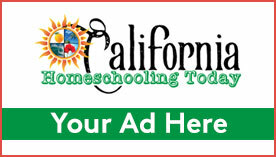 San Diego Home Educators – Contact information: Call Celia Ewing at (619) 281-6581. San Diego Homeschool Resource Center – Offering homeschool information, free monthly e-zine, directory of teachers and classes.